Both the peacenik Mohandas Gandhi as well as firebrand revolutionaries found inspiration in the methods practised by Russians to win freedom from tyranny. It was the first Russian Revolution, in 1905, that fired up the imagination of Indian revolutionaries. Mohandas Gandhi regarded it as “the greatest event of the present century” and “a great lesson to us”. India was also switching to this “Russian remedy against tyranny,” Gandhi said. The revolution made a big impact also on the minds of Indian revolutionaries who, unlike the ‘Moderates’ and the ‘Extremists’ of the Congress party, intended to get absolute independence by adopting revolutionary methods as practised by Russians. The Yugantar issued a threat: “In every country there are plenty of secret places where arms can be manufactured.” It advocated the plundering of post offices, banks and government treasuries for financing revolutionary activities. The newspaper also observed that “not much physical strength was required to shoot Europeans”. These incendiary articles had an immediate impact, and within a year bombs were exploding and bullets flying across India. On April 30, 1908, Prafulla Chaki and Khudiram Bose threw a bomb on a carriage in Muzzafarpur in order to kill Douglas Kingsford, the chief presidency magistrate, but by mistake killed two women travelling in it. Chaki committed suicide when caught and Bose, just 18 years old, was hanged. Bal Gangadhar Tilak – known as Gandhi’s political guru – defended the revolutionaries and demanded immediate self rule. He was arrested and a British kangaroo court sentenced him to six years in a Burma jail. Days after Tilak’s trial, Russian leader Vladimir Lenin published an article titled 'Inflammable Material in World Politics'. He wrote that the British, angered by the mounting revolutionary struggle in India, are “demonstrating what brutes” the European politician can turn into when the masses rise against the colonial system. 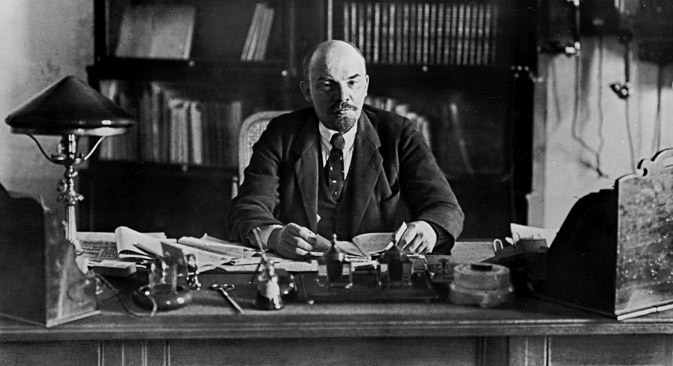 Blasting the “infamous sentence pronounced by the British jackals on the Indian democrat Tilak”, Lenin predicted that with the Indians having got a taste of political mass struggle, the “British regime in India is doomed”. Lenin and Gandhi were at opposite ends of the revolutionary spectrum. They differed not only in their national and individual goals but also in the means they advocated to achieve such goals. Irving Louis Horowitz writes in The Idea of War and Peace: The Experience of Western Civilization that despite their differences, the very fact they were both leaders of masses of mankind in great nations place them in a kinship. When Gandhi said that “nations have progressed both by evolution and revolution”, and that "history is more a record of wonderful revolution than of so-called ordered progress” he demonstrated a community of mind with Lenin that went beyond the simple coincidence of political careers,” writes Horowitz. Then there is also the Gandhian definition of socialism that Lenin frequently emphasised – the view that socialism is more than a transformation in economic relations, but a transformation in human psychology as well. Leon Trotsky, Russian revolutionary and the founder of the Red Army, however, felt Gandhi was a fake freedom fighter. According to Trotsky, never before in history have slave owners voluntarily freed their slaves. If the Indian leaders were hopeful that for their cooperation during the war the British would free India, they were grossly mistaken. All of Trotsky’s predictions would have come true if the rebel Indian National Army hadn’t driven a stake of fear through British hearts. The 1946 revolt of 20,000 Indian Navy ratings and the very real possibility of the Indian Army and Indian Air Force joining the revolt finally hastened the end of the most genocidal empire on the face of the earth.